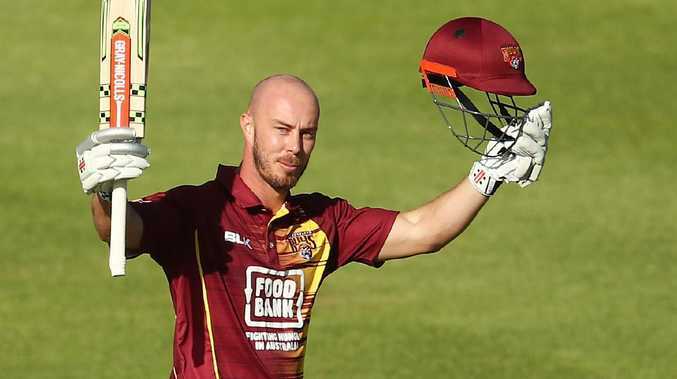 CHRIS Lynn confirmed his billing as Australia's knight in shining armour this summer with a stunning maiden one-day hundred for Queensland. Australia's World Cup defence is currently in a state of disarray, but Lynn's 64-ball demolition of South Australia in their JLT Cup clash on Tuesday showed he can be their saviour in England next year. 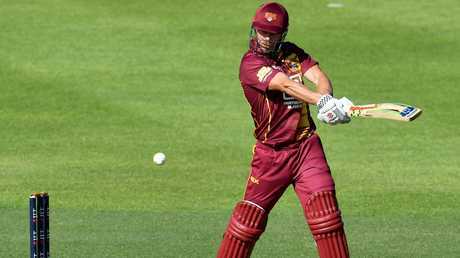 Lynn smashed eight sixes at Hurstville Oval including one onto the road that might have nearly eclipsed the famous Big Bash maximum he once launched onto the roof of the Gabba. Embarrassingly, Australia has been left behind teams like England over the past two years who have taken top order power-hitting in the 50-over game to another level. It's understood selectors have penciled Lynn in as their preferred No.3 in one-day cricket, believing he can instantly bring Australia back up to speed. The only drawback is any World Cup heroics from Lynn will have to be done on two legs, with the 28-year-old admitting he is no longer capable of diving in the field, so great is the risk of damaging his suspect shoulder. It seems incredible that was Lynn's first ever 50-over century, but from Australia's point of view the timing couldn't be better. "I haven't had a question directly (about the World Cup) but I know what I've got to do is just score runs and look after my body," Lynn said. "It's not reckless cricket, it's fear-free cricket. They're calculated risks. "It's about trying to dominate early in the over rather than sitting back waiting for balls five and six. 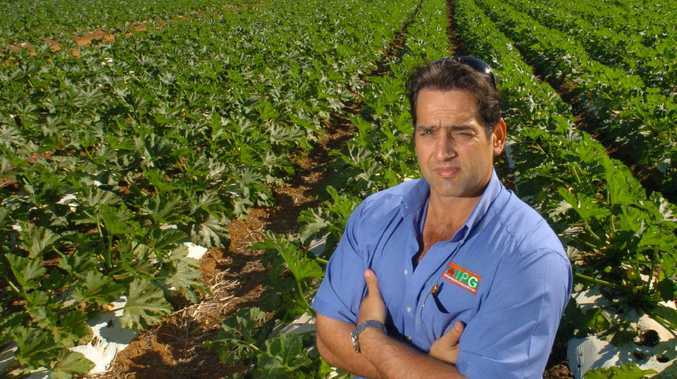 As Australians we need to … be more proactive with our game and really take the game on. "It falls into my game plan nicely. "(But) obviously I can't just be a batter in this format. I can't be a liability in the field. "That's the goal, to score plenty of runs, make sure I'm mobile enough in the field and that the shoulder is good enough to throw and create chances. That's (been) the pretty simple message (from selectors)." 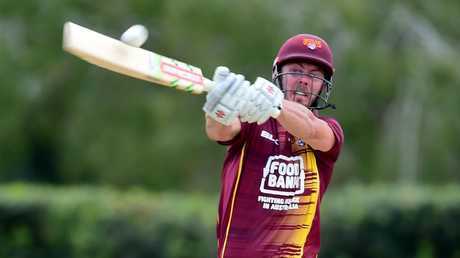 Lynn could barely buy a run in the recent Caribbean Premier League but in back-to-back matches for Queensland - his first 50-over domestic cricket in five seasons - he has scores of 70 and 106 not out. Advice from his Twenty20 mentor in both India and the Caribbean Simon Katich, is foremost in Lynn's mind as he prepares to fight his way back into Australia's T20 and ODI teams in the coming weeks. "Simon just said don't take anything for granted when you're scoring runs. Make sure you really cash in because cricket can be a pig of a game at times when it's not your turn," he said. "I never want to flirt with that (poor) form." 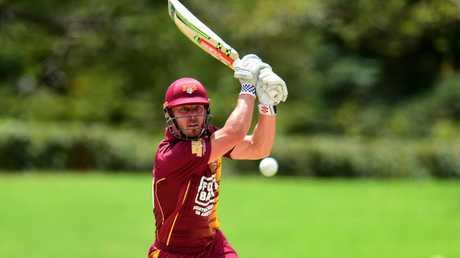 Lynn received superb support from under-19s superstar on the rise Max Bryant who slaughtered 71 off just 32 balls to open the innings for Queensland in their comprehensive seven-wicket win over South Australia with 87 balls still remaining. Bryant could be another one to watch for Australian selectors looking to up the ante in one-day cricket, particularly with David Warner on the sidelines.